3D LightSquared LED Cube Soldering Steps. LED Cube found on eBay. I am not going to talk about the assembly because you can find lots of documents about this issue on the Internet. I could finish the main board and the soldering of 512pcs LEDs in four days. The LEDs are controlled by a STC12C5A60S2 micro-controller. 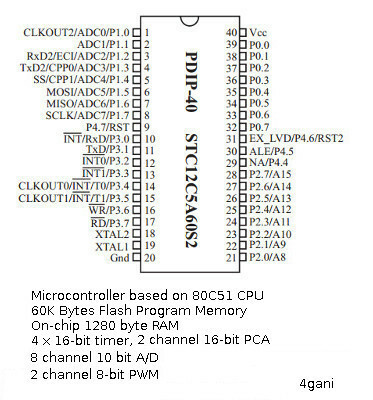 The µC is based on 80C51. 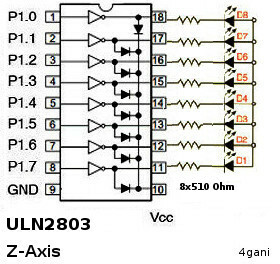 pins 21 to 28 on the STC12c5a60s2 go to the enable pins on the corresponding of 8 x SN74HC573 latches. 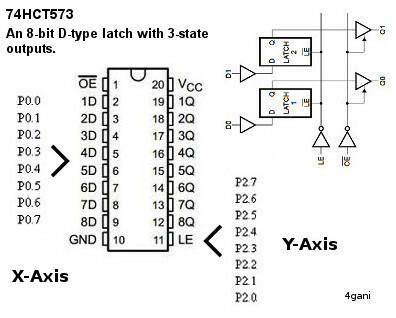 The total 64 input pins of 8 Latches (74HC573) are connected to the 8 Data Port0 (P0.0-P0.7). The 74HC573 is an octal D-type flip flop with latched. The LE (latched enabled) are used for columns and the 8 outputs rows. It’s works as a buffer and saves the last input data. With each plus at LE pin, the latch will read the data out of the µC and at the same time forward the previous saved data to the output. The OE pin of each latch goes to ground to always make available the contents of the 8 latches at the outputs. Pins 1 to 8 on STC12c5a60s2 are mapped to pins 1-8 of (u9) Darlington array ULN2803. 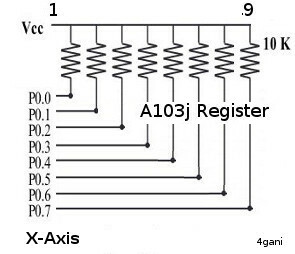 These lead via 470 Ohm resistors the Z-axis of 8 layers. 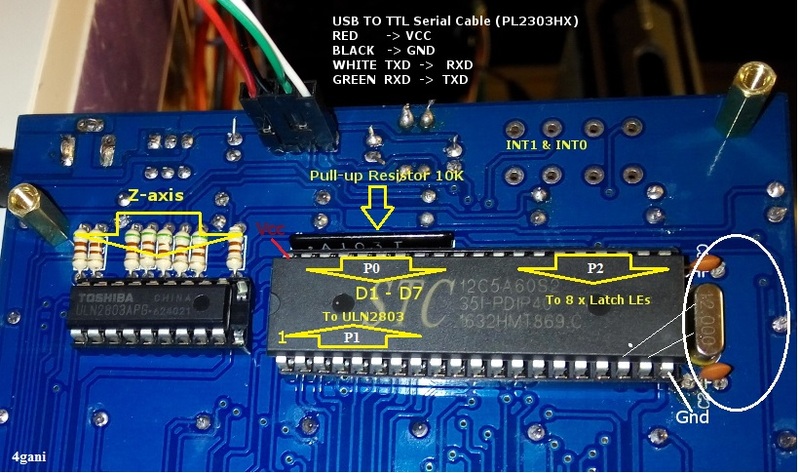 We know that the µC normally can maximal provide the outputs with ca. 20mA. Loads more than 20mA will destroy it. Therefore, it used a ULN2803 which provides each of his 8 x outputs with up to ~500mA to drive the Z-Axis through 470 ohm. Cube funktionierte soweit okay. nun möchte ich µController new mit einer neuen Version flashen. 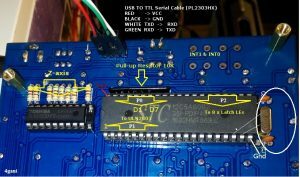 There are several tools that can be used to transfer the hex file (machine-code) to the STC microcontroller. Actually, I can use the Keil µVision tool for Programming and compiling. The Keil µVision demo Version has limitation regarding the size of binary, but it’s enough and works for me. If we are going to flash the µC with a neu Hex-File, the STC-IPS tools will work completely for us. Note: The boot-loader can not be flash in Cube via MOSI/MISO port. We have to use the USB-seriell-Kabel (RX,TX, GND). 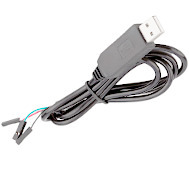 Click here to get for driver USB to UART (TTL) Cable. Normally the port will be detected automatically by the tools. Click”Download/program” and wait 5 sec. Now power on the cube board to start programming. If all goes well and programming process is finished you should see LEDs display light up.